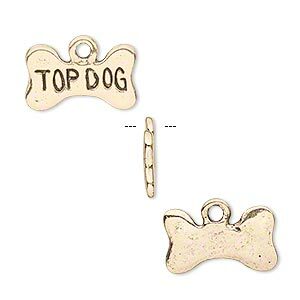 Charm, antiqued gold-plated pewter (tin-based alloy), 16.5x10mm single-sided dog bone with "TOP DOG." Sold per pkg of 4. 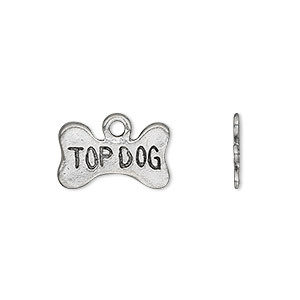 You know your dog is the best--wear your pride with "Top Dog" pewter (tin-based alloy) charms. Use in a charm bracelet with other dog-themed charms, as a cell phone charm, dangle from your pampered pet's collar or use in scrapbooking. 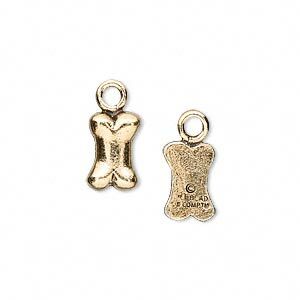 Charm, antiqued pewter (tin-based alloy), 16.5x10mm single-sided dog bone with "TOP DOG." Sold per pkg of 4. 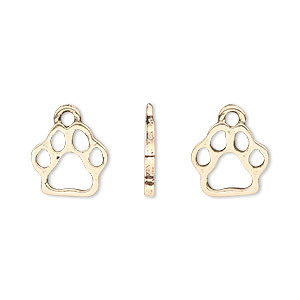 Charm, antique gold-plated pewter (tin-based alloy), 12x10mm single-sided paw print. Sold per pkg of 4. 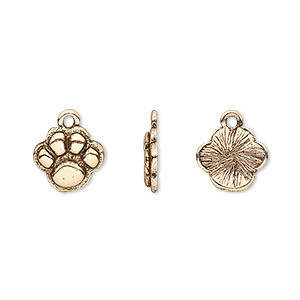 Charm, antique gold-plated pewter (tin-based alloy), 12.5x9mm single-sided paw print. Sold per pkg of 4. 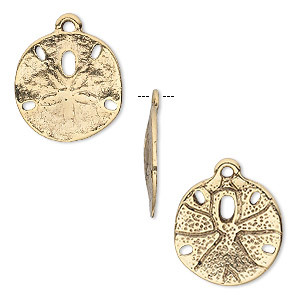 Charm, antique gold-plated pewter (tin-based alloy), 16mm sand dollar. Sold per pkg of 4. 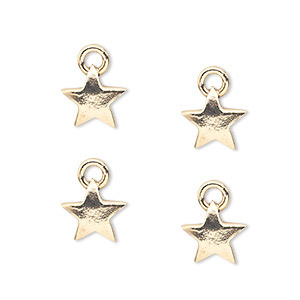 Charm, antique gold-plated pewter (tin-based alloy), 9x9mm double-sided star. Sold per pkg of 4. 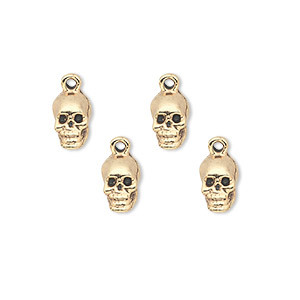 Charm, antique gold-plated pewter (tin-based alloy), 9x5mm skull. Sold per pkg of 4. 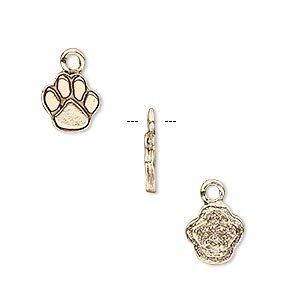 Charm, antique gold-plated pewter (tin-based alloy), 13.5x11mm single-sided paw print. Sold per pkg of 4. 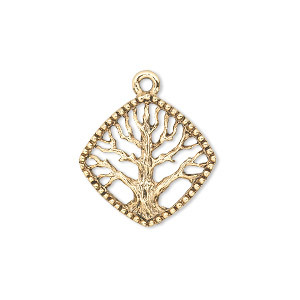 Charm, antique gold-plated pewter (tin-based alloy), 20x20mm single-sided diamond with tree of life. Sold per pkg of 2. 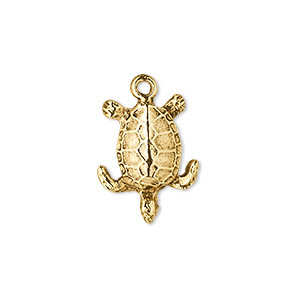 Charm, antique gold-plated pewter (tin-based alloy), 18x15mm single-sided turtle. Sold per pkg of 2.